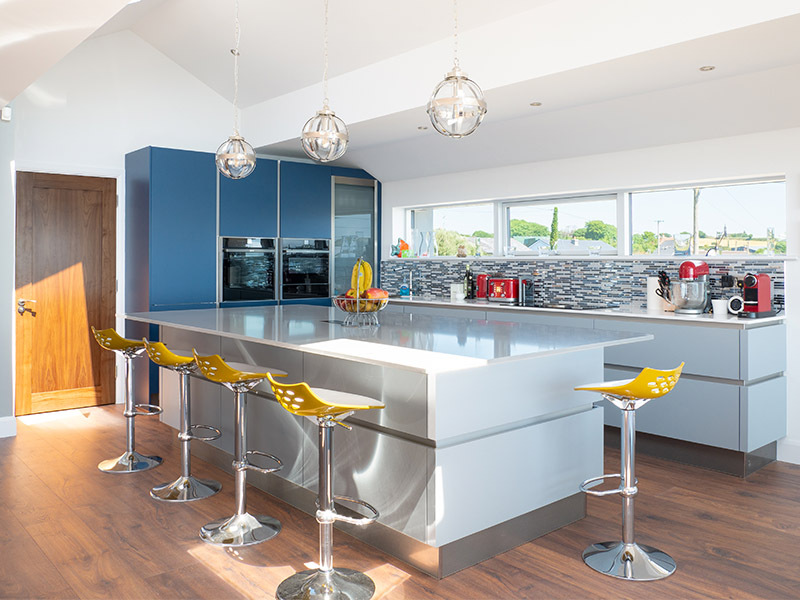 The homeowner got in touch with Signature at the annual Self Build Show in Dublin, in spring 2016. 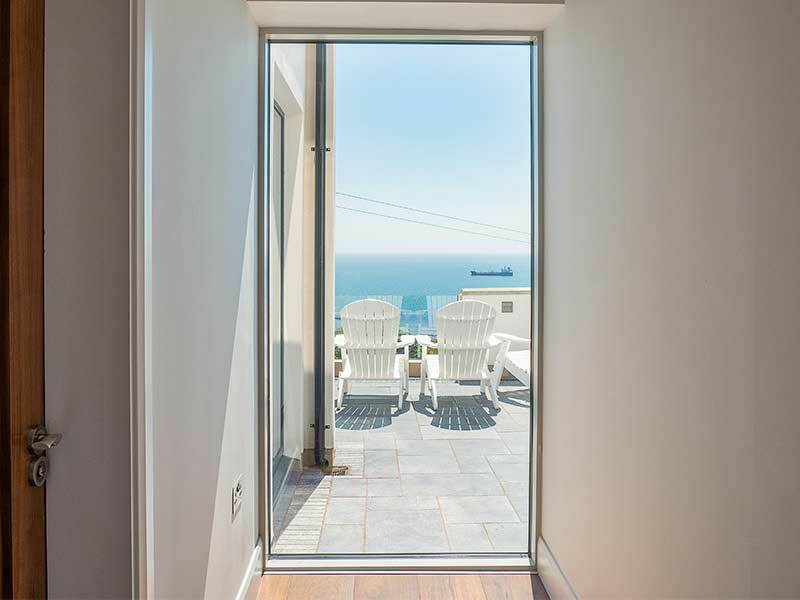 To take advantage of the surrounding cinematic seaside views, the client envisioned using large expansive glazing and sliding patio doors. This presented many challenges ahead for the homeowner and Signature Windows. 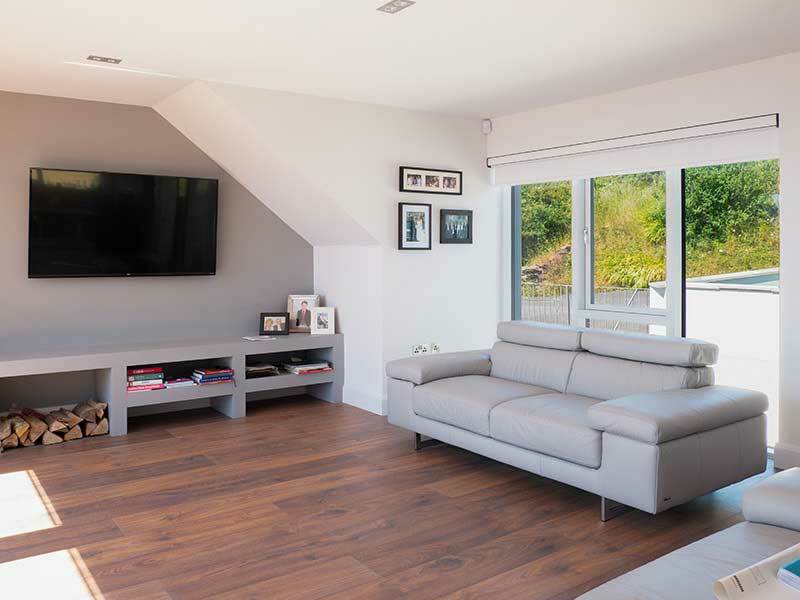 Maintaining a slim contemporary motif both inside and outside of the home was central to this newbuild project. 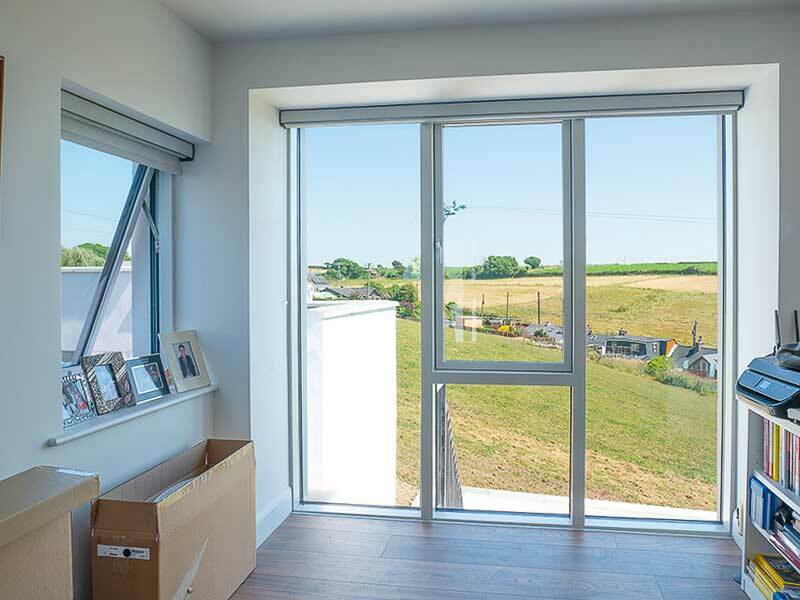 However, providing a high-standard of window performance for the client was also critical. Being situated so close to the sea, the site is extremely exposed. This meant that the project required first-rate air-tightness, water-tightness and energy-performance. The building process started in 2017 and was finished in early 2018, resulting in a beautiful modern styled 2,800 sq./ft. home. 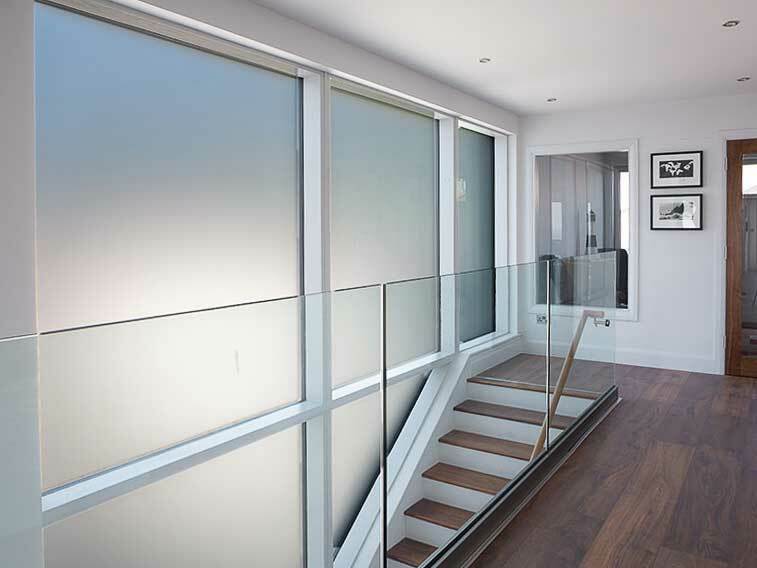 The client sought after a minimalistic interior window profile with slim frames and narrow sightlines to maximise their seaside views. A big challenge for this project was achieving Large Lift and Slide Doors (4650mm wide) in 2 panels. 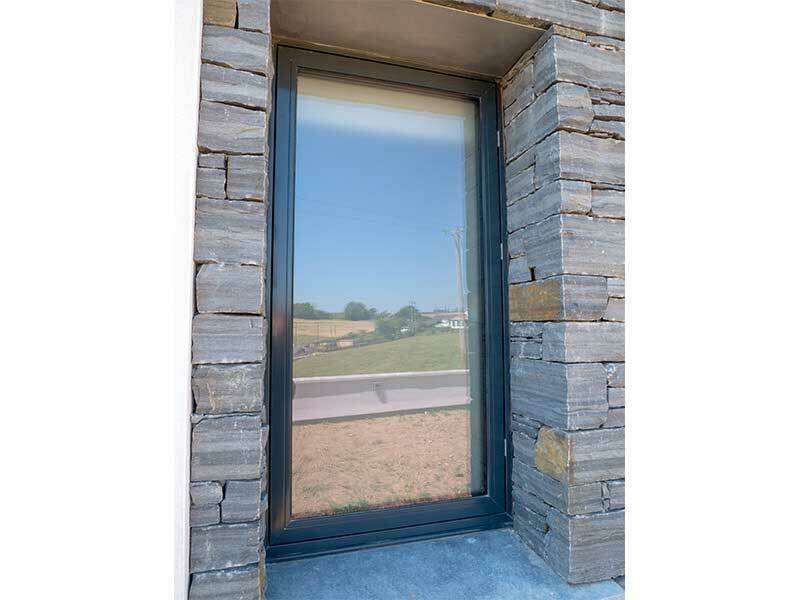 Many other Window & Door suppliers simply couldn’t provide this unique size requirement. The Signature in-house design team worked closely with the architect to achieve their large sizing specifications. 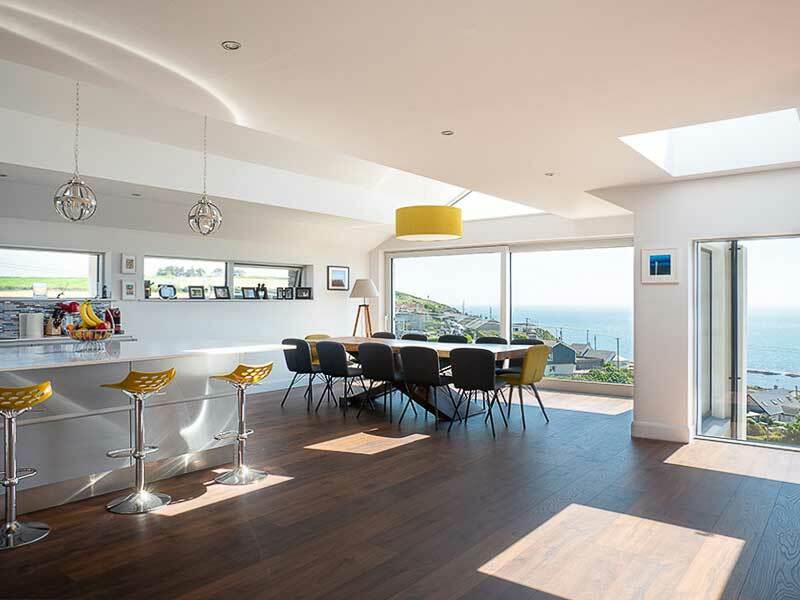 Large Fixed Windows were used throughout the project to maximise both scenic views and natural light. These Large Picture Windows were also combined with Side-Guided and Side-Hung Casement Windows, creating beautiful contemporary designs. A large Special Shaped Feature Window spanning 4645mm wide and 3460mm high was central to the interior design of the home. 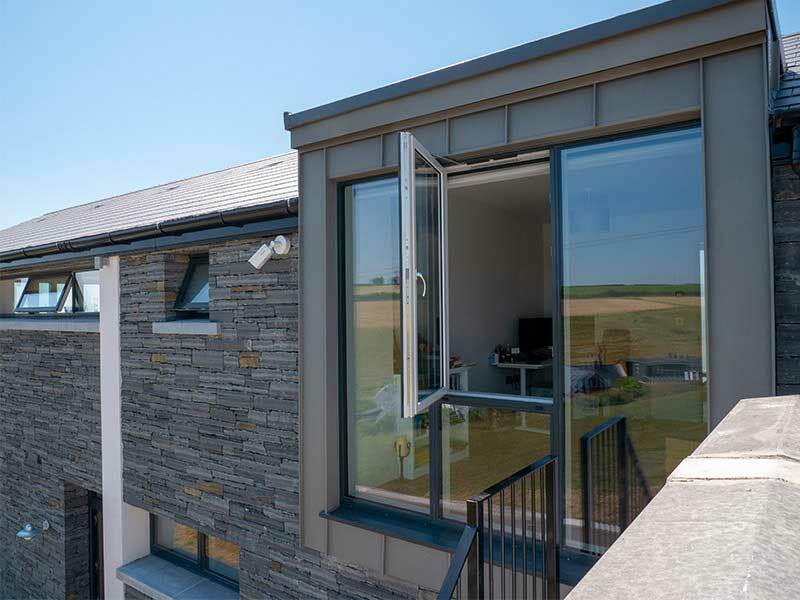 This stunning feature window was a big challenge for the in-house design team and required bespoke aluminium sill to suit the window angles. This feature window would allow natural light to flood the inside of the home while simultaneously creating a focal interior design piece. 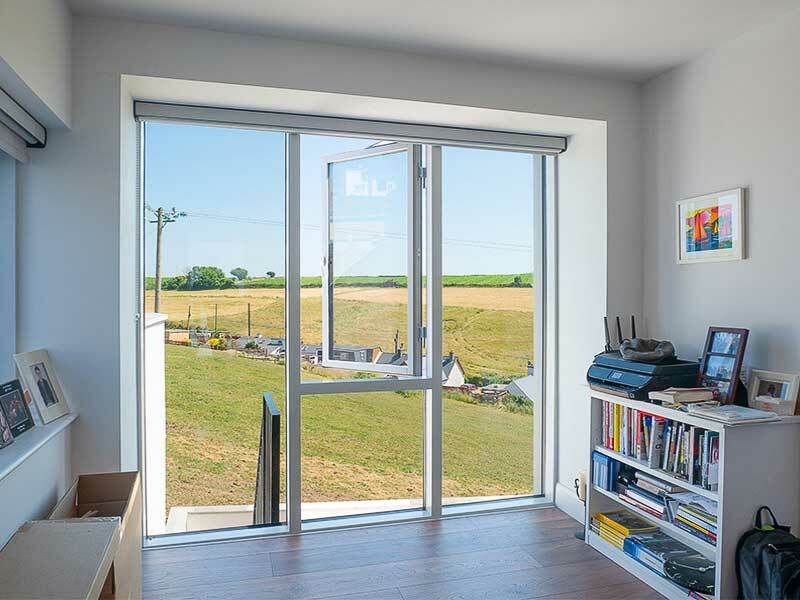 To achieve an average window U-Value of 0.79 W2mk, triple glazing with Low-E coatings and Argon gas were specified. 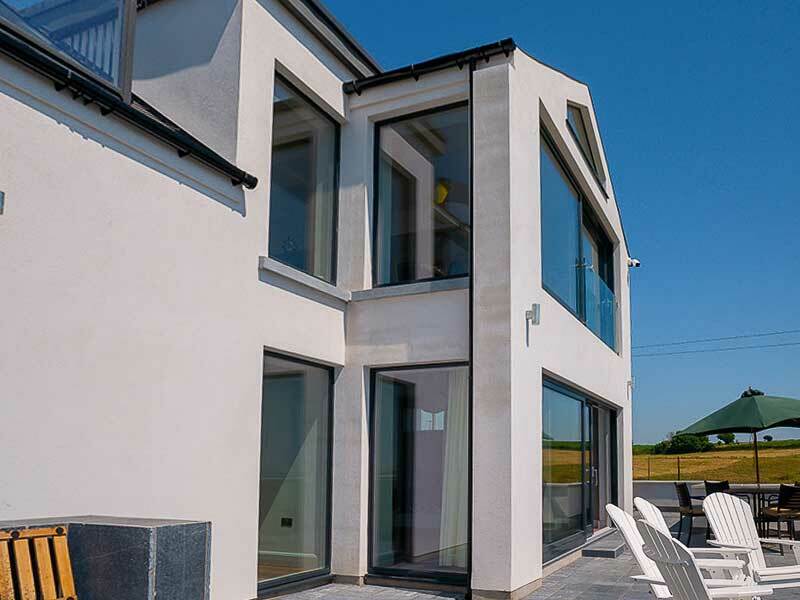 The innovative thermal break featured in the Contemporary Range increased the water tightness to 1200pa which is 71% times better than the minimum recommended standard. 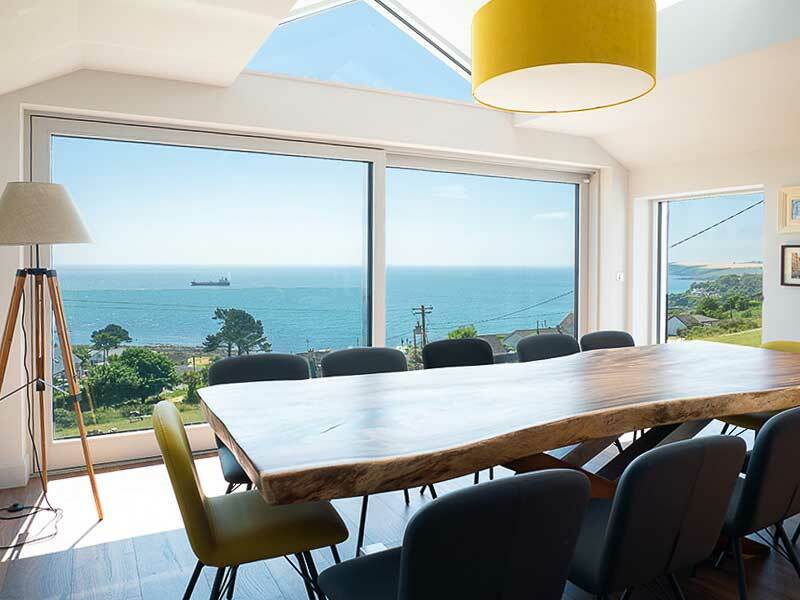 Given that the client is situated so close to the sea, if any of the window seals would fail, the thermal break would still protect the interior wood from decaying. After solving the project’s challenges, on-site surveying and deciding on the final window & doors styles, the installation time had come. 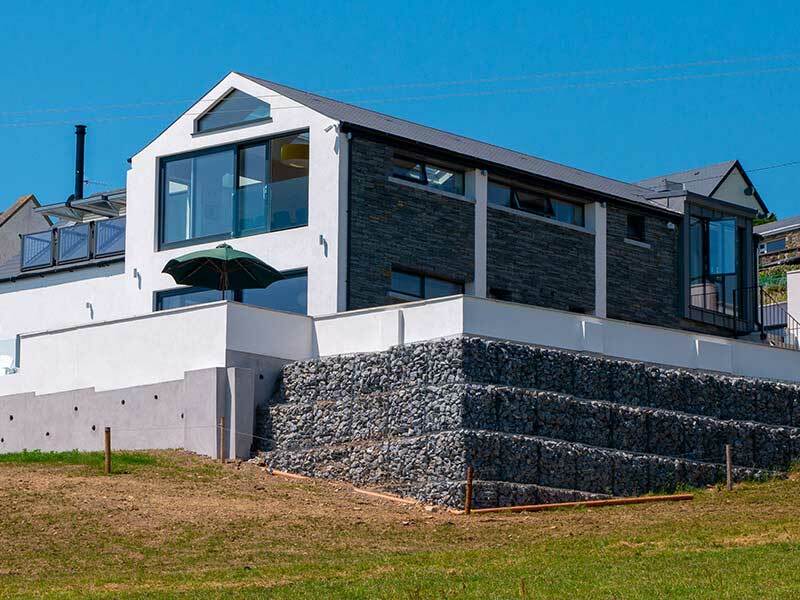 This included Signature’s Contemporary Aluminium Clad Wood Range of casement windows, tilt/turn windows, large lift and slide doors and large fixed glass panels, making this house an architectural masterpiece. 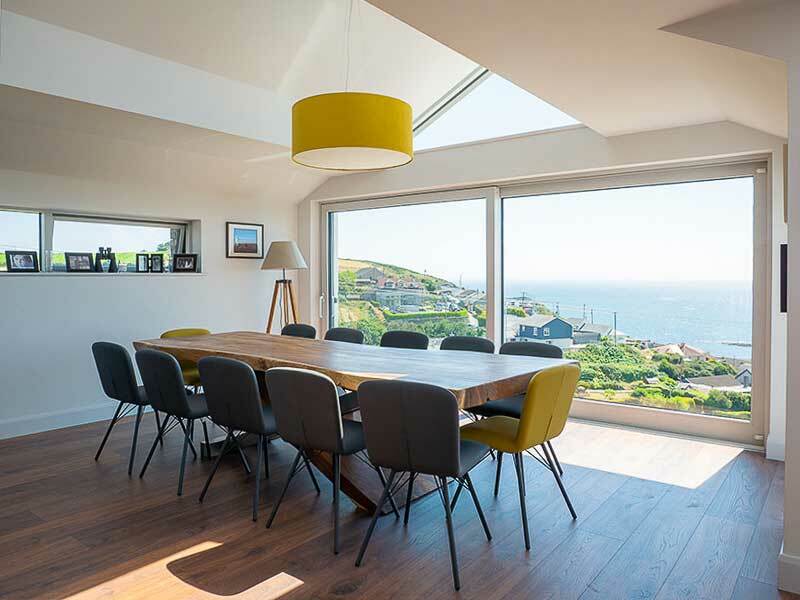 The architect wanted to maximize natural light using slim profile windows and doors, taking advantage of the stunning surroundings and the cinematic views. 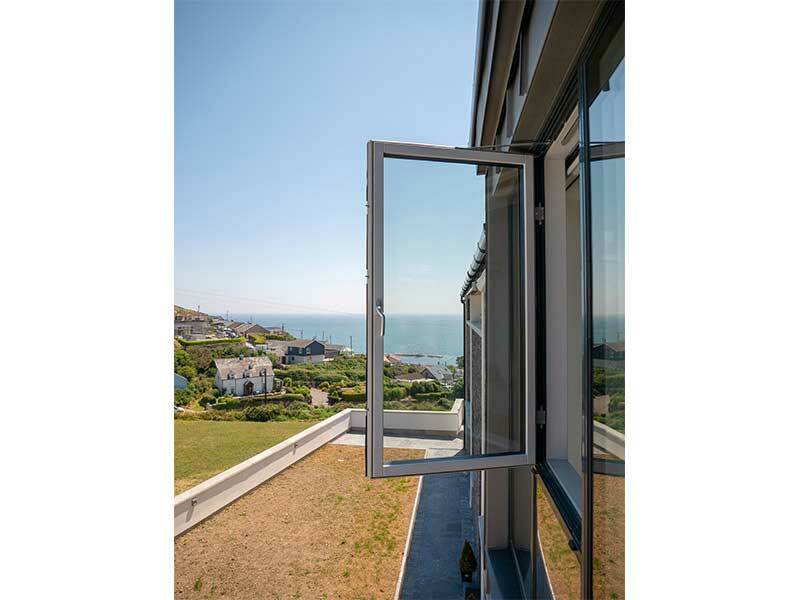 But since the house was located just by the sea, the window performance was a big challenge due to the problem prevailing winds and exposure to the salt in the air from the sea. 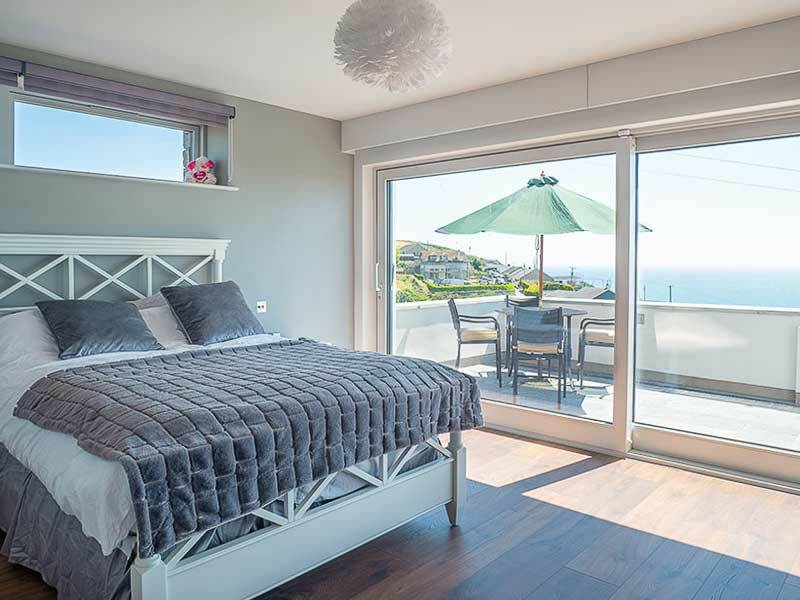 Signature Windows & Doors provides bespoke and tailor-made solutions for your project, with innovative technology creating the most energy-efficient and water-tight products with contemporary slim profiles on the market today. 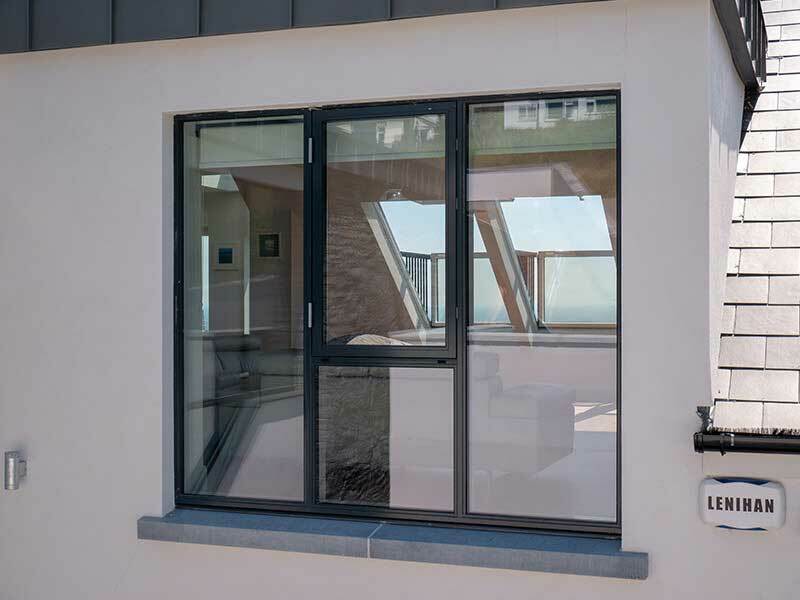 Our Contemporary window range is designed to achieve the highest performance, water-tightness rating (71% better than the minimum recommended standard) and thermal insulation performance combined with modern designs meeting the most demanding architectural trends. 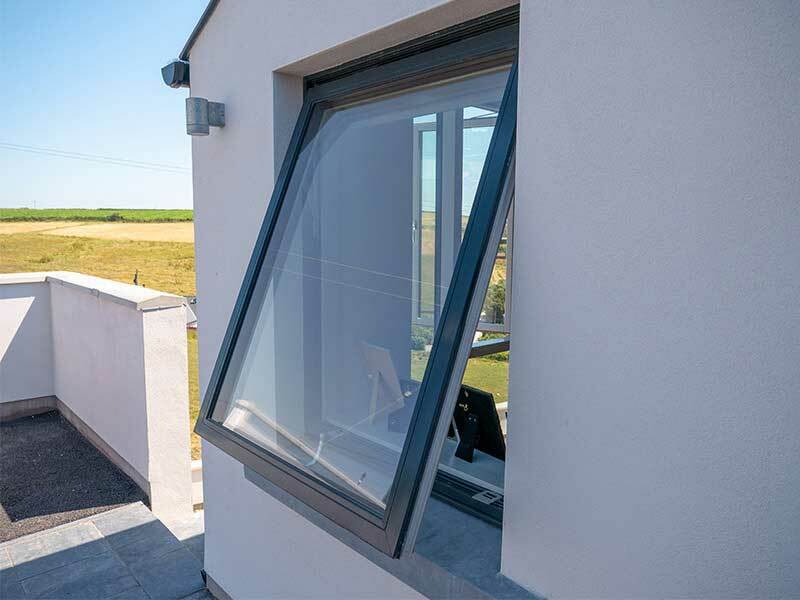 This state-of-the-art sustainable system offers the most cost-effective near passive window solution for your low-energy building project. 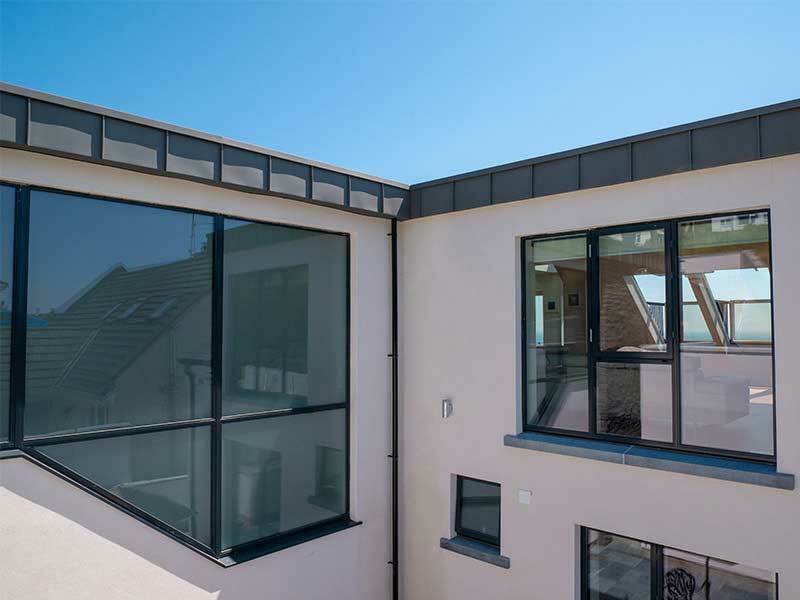 The Signature energy-efficient water-tight contemporary window guarantees faultless functionality and superior quality. 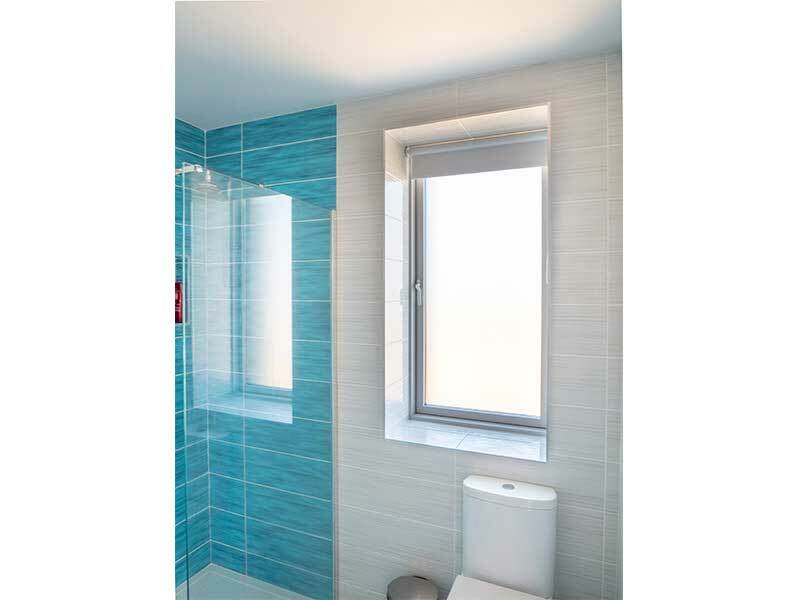 Does Your Project Require The Same Window Solution? 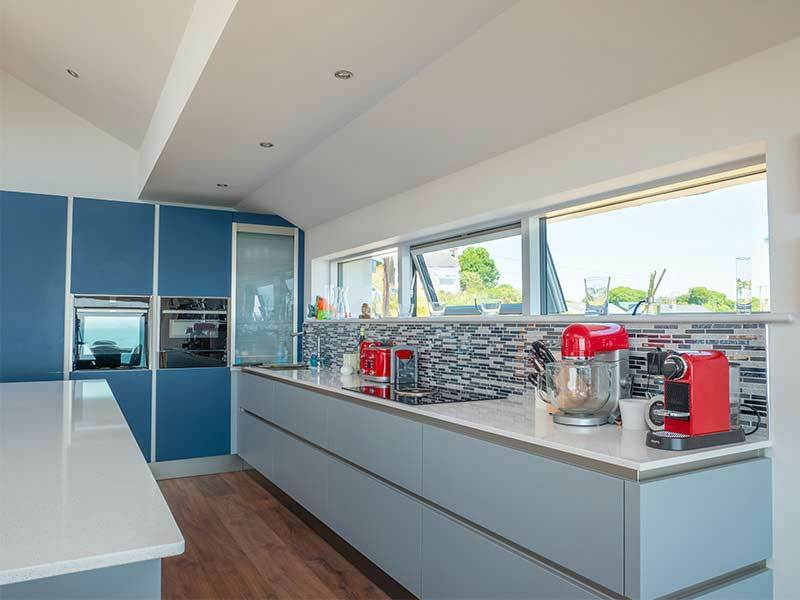 Click on the link below to contact us and learn more about Signature’s Contemporary Range and the additional services included. Glazing: Triple glazing with low E and argon and black warm edge spacer bar.